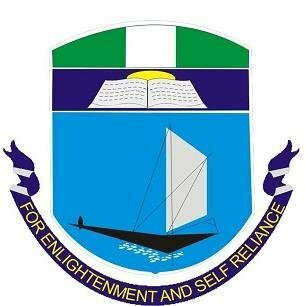 The University of Port Harcourt (UNIPORT) Transcript Processing Fees, Delivery Fee, Administrative Charges and Payment Guidelines for all Undergraduates and Postgraduates Students . 1. To make a transcript request, simply click on the 'link above. Fill in your details accurately as required on the form. Please note that it is necessary to provide a valid email address. This will be used by the portal to send you status alerts of your application. 2. Upon your first visit to the platform, you must fill in the form providing your personal details, contact information and Matriculation number (IN THIS FORMAT - 1999/123456. PLEASE IF YOUR MATRIC NUMBER IS 1996/123456 DO NOT ENTER IT AS 96/123456). 3. However, if you have visited the platform previously, and have successfully requested and PAID for a transcript, you must skip the process of filling the form and simply enter your matriculation number in the field provided at the bottom of the page. 4. You are expected to provide shipping details about the transcript you are requesting as follows: The name of the Institution or Organization that the transcript is to be sent to as well as its full address including City, State, ZIP/Postcode (for foreign addresses), Country, and Continent. Please note that the address you enter is the address that the courier will deliver your transcript to, therefore ensure that you are as detailed and accurate as possible. 5. You can request for more than one transcript at a go, by making different requests and adding them to your cart. Note that you are charged per transcript request. 6. After you have chosen your card-payment option, enter your card details as directed by portal and make your payment. (You can pay with any ATM card you have (VISA, INTERSWITCH or MASTERCARD) as long as that card has been enabled for web transactions. Please confirm from your bank that your card is enabled for web transactions). 7. If for any reason, after you have reached Step 5 (that is, after you have selected your card-payment option) you do not finish the transaction that you initiated, you can complete the payment process any time later by Confirming your matriculation number (refer to Step 2-b). The system will recognize you. Click on the "Action" button of the payment you want to continue with, and select "Retry Payment". You will be taken back to the payment interface, where you will need to enter your card details and make your payment. 9. After successful payment, you may wish to print your payment receipt. 11. To log out of the process at any point in time, simply click on the "Quit" button at the bottom of the page. Enjoy using our e-Transcript! NB: All Transcript Applicant should fill an application form (download from the university website) scan and send same to examinationsandrecord@uniport.edu.ng.